Is Jared Leto Saying Goodbye to His Hair? Now we don’t have much information to go off of, like when or why he is deciding to cut his god-level locks, but we can muster up a couple of possibilities. Maybe he’s cutting it for his new Joker role in the upcoming Suicide Squad film, or maybe he just doesn’t want spend that much time of the day combing hair? Who knows! All we have is one little Instagram post and a prayer that he doesn’t go this route again. 2015 is around the corner, so we’ll just have to wait and see. 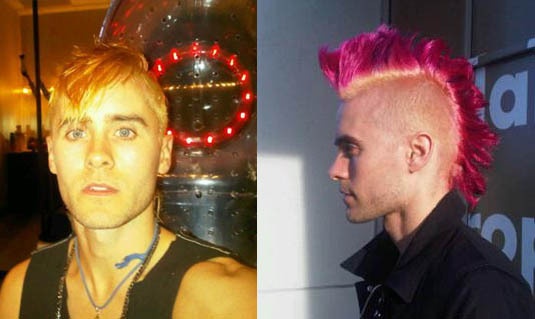 Check out more of Leto’s hair transformations over the years.